According to Women's Wear Daily (WWD), Banana Republic is doing an Anna Karenina fall collection inspired by Joe Wright's upcoming film Anna Karenina (starring Pride & Prejudice stars Keira KnightleyandMatthew Macfadyen). This is great promo for AK movie and of course, Banana Republic is said to have produced the collection in partnership with Focus Features. Anna Karenina opens in UK Cinemas on September 7th and two months later in the US (in select theaters) November 9th (and will possibly go in wide release soon after orin the following weeks). Here's WWD's article for more info! 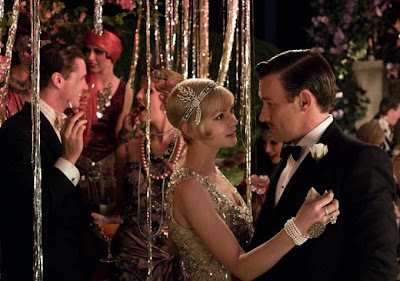 Four new stills from The Great Gatsby film (via The Great Gatsby UK Facebook) have just been released online, and two of them features Carey Mulligan as Daisy Buchanan withJoel Edgerton as Tom Buchanan and Leonardo DiCaprio as Gatsby. The first trailer for The Great Gatsby starring Leonardo DiCaprio, Carey Mulligan, and Tobey Maguire was released recently with another New still via the film’s UK Facebook page. The film also stars Joel Edgerton, Jason Clarke, and Isla Fischer. The Great Gatsby opens in 3D on December 25th. Now, that the first trailer for Joe Wright's new 'Anna Karenina' film starring Keira Knightley and Matthew Macfadyen!is here (which was released about a week ago today),I thought I'd compile all the trailers of brilliant and acclaimed directorJoe Wright's five feature films in one post. 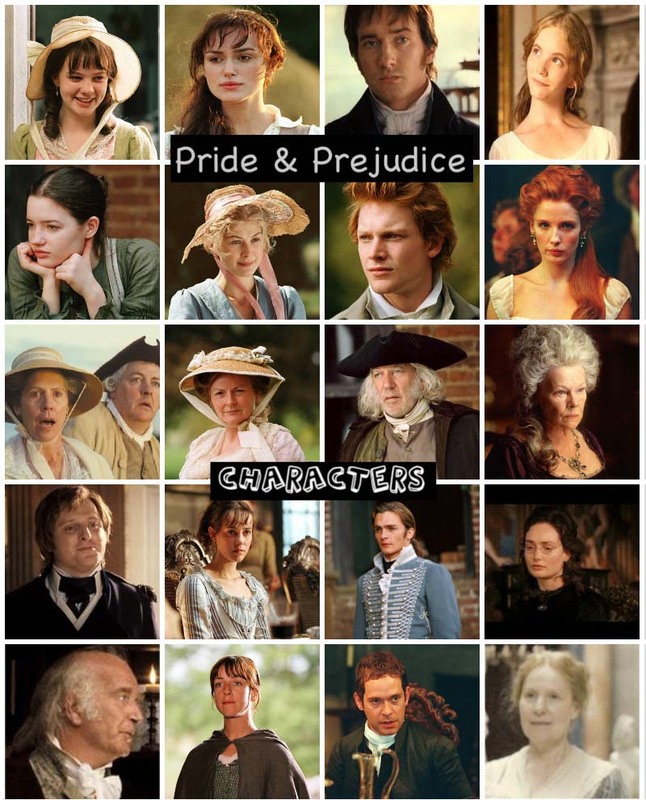 In such a short time of this award winning filmmaker's directorial career (following the award-winning box office successes “Pride & Prejudice” and “Atonement”), JW had directed all 5 of these wonderful and amazing (from period to musical to action and back to period) feature films. 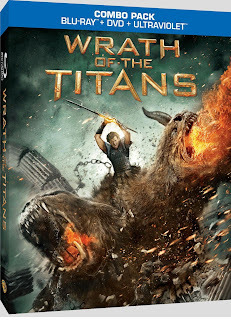 Available now onDVD,Blu-ray, and Combo Pack (as well as OnDemand, iTunes, and digital downloads)is Rosamund Pike's recently released film,Wrath of the Titans, which she co-starred with Sam Worthington, Liam Neeson, Ralph Fiennes, Edgar Ramirez, Toby Kebbell, and Bill Nighy. 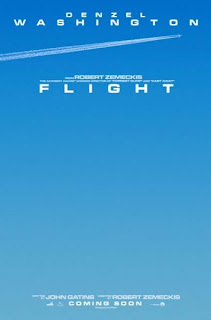 The film opened in theaters March 30th (about 87 days and 12.4 weeks) and was a bit disappointing on its opening weekend as far as domestic box-office gross is concern, as it opened at $33.6 million (at #2 behind The Hunger Games), and still did not reached nor surpassed its $150 million budget, which isn't good box-office-wise, but not worse compared to Disney's John Carter. According to Box Office Mojo, as of June 24th, whileit only grossed at $83.6 million in domestic, it did much better overseas with $218.3million and made a worldwide total of $301.9 million. 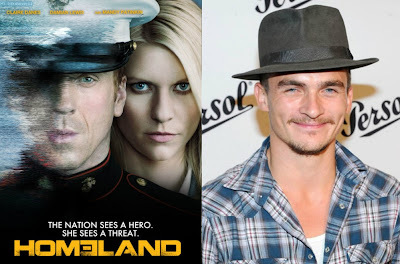 TV Casting News: Rupert Friend joins Showtime's ‘Homeland’ as a series regular for Season 2! Great news for Rupert Friend fans (like myself)! According to Hollywood Reporter, Rupert is joining the cast of Showtime's hit freshman series Homeland as a season regular on the series' season 2! Homeland is upping the ante for its second season. In theaters nationwide today is Seeking a Friend for the End of the World starring Steve Carell and Keira Knightley. Go see it! Watch: first trailer for Joe Wright's 'Anna Karenina' starring Keira Knightley and Matthew Macfadyen! The first trailer and movie poster (see to your left), and a new still (of Keira Knightley and Aaron Johnson...see it below) for Joe Wright's upcoming film Anna Karenina (starring Pride & Prejudice stars Keira KnightleyandMatthew Macfadyen) has just been released by Focus Features today and it's already trending topic #2 worldwide on twitter! Very exciting! 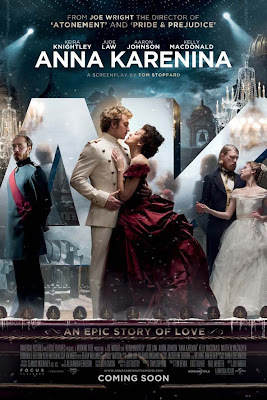 Jude Law, Aaron Johnson, Kelly Macdonald, Domhnall Gleeson, Alicia Vikander, Emily Watson, Olivia Williams, and Ruth Wilson also star in the adaptation of Anna Karenina, directed by Joe Wright (Hanna/Atonement/Pride & Prejudice). Keira Knightley attended the premiere of "Seeking a Friend for the End of the World" with co-star Steve Carell and writer/director Lorene Scafaria at the 2012 Los Angeles Film Festival held at Regal Cinemas L.A. Live on June 18, 2012 in Los Angeles, California. Seeking a Friend for the End of the World starring Steve Carell and Keira Knightley opens in theaters nationwide this Friday! 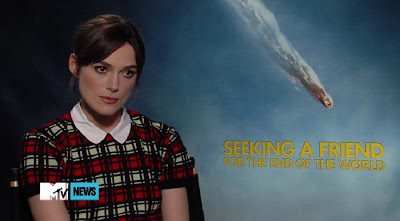 UPDATE: Check out and watch Keira Knightley's red carpet interview talking about Seeking A Friend and Anna Karenina trailer! Just 4 more days left untilSeeking a Friend for the End of the World starring Steve Carell and Keira Knightleyhits theaters nationwide this Friday, June 22nd! Focus Features has released more production stills (via HeyUGuys and IMDb) from the movie with Keira Knightley as Penny (aka Penelope Lockhart) as well as on setphoto of KK, co-star Steve Carell, and director Lorene Scafaria. SEEKING A FRIEND FOR THE END OF THE WORLD (Focus Features)stars Golden Globe Award winner Steve Carell and Academy Award nominee Keira Knightley and is the feature directorial debut of screenwriter Lorene Scafaria. Set in a too-near future, the movie explores what people will do when humanity’s last days are at hand. As the respective journeys of Dodge (Mr. Carell) and Penny (Ms. Knightley) converge, the two spark to each other and their outlooks – if not the world’s – brighten. 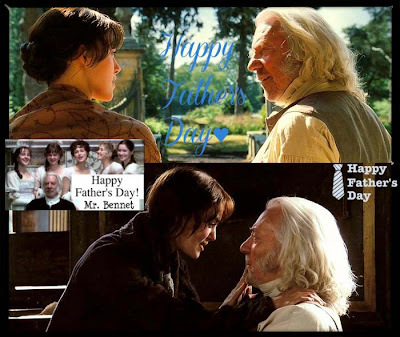 to all the fathers around the world! As Keira Knightleypromotes her new film Seeking a Friend for the End of the World (see her video interview of it below), which she co-stars with Steve Carell and it's opening in theaters nationwide next Friday (June 22nd), she was interviewed byMTV Newsand was asked about her upcoming film Anna Karenina(in select theaters November 9th, which she co-stars with her former P&P co-star Matthew Macfadyen)and her third film collaboration with director Joe Wright (Pride & PrejudiceandAtonement). Before we get into Keira's new interview talking about AK filmand JW,Focus Features(viaFacebook)has released anew AK production stillof her co-star Aaron Johnson (on his birthday the other day, Wednesday June 13th) as Count Vronsky.Rumor has it that the first trailer for Anna Karenina is said to debut sometime today (lets hope so! )...we shall see! I'll be sure to post about it here as soon as it's available, of course. Rosamund Pike attended the Bvlgari Hotel and Residences London Official Opening on June 12, 2012 in London, England. Rosamund, who recently became a first time and new mother (gave birth about a month ago) to a baby boy named Solo, looked stunningly gorgeous and slim in the new photos below. 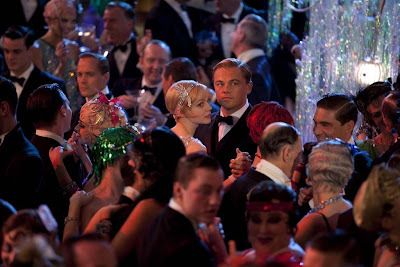 Three new stills from The Great Gatsby film (via Collider and HeyUGuys) have just been released online, and one of them features Carey Mulligan as Daisy Buchanan (above ^), on the dance floor with Leonardo DiCaprio. UPDATED 6/28/12: Removed previously posted embedded YouTube videolink and screen captures of Talulah Riley for The Liability as was kindly asked to do so by AV Pictures, the sales company behind The Liability film as it was not the actual trailer for the film. So, yeah...that was not the trailer...sorry. As soon as the official trailer is released, I'll post all about it here. I'll keep you all posted. 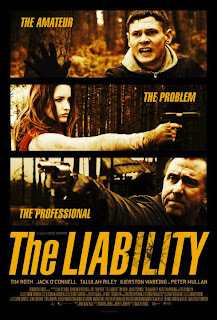 The trailer has surfaced online for Talulah Riley's upcoming film The Liability, a new comedy thriller produced by Corona Pictures and starring Tim Roth, Jack O'Connell, Talulah Riley. 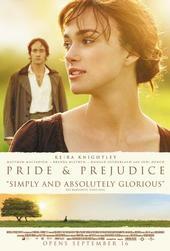 No release date for the U.S. yet, but it's listed on IMDB as to be released in the UK Cinemas for October 2012. The film also made its debut at the Cannes Film Festival and is Berlin EFM 2012 (Line up). Keira Knightleymade a guest appearance on NBC's Late Night With Jimmy Fallon to promote her upcoming new film Seeking a Friend for the End of the World, which she co-stars with former The Office star Steve Carell. The filmhits theaters nationwide next Friday June 22nd! Though there was no mention of her engagement and new fiancee on this interview. This is Keira's first TV guest appearance since recently announcing she's engaged to boyfriend, Klaxons keyboard player James Righton. 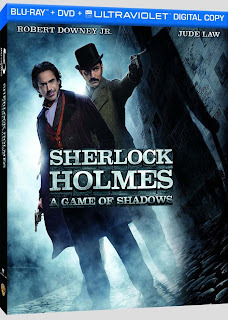 Available now on DVD and Blu-ray as well as On Demand and Digital downloads is Sherlock Holmes: A Game of Shadows starring Robert Downey Jr., Jude Law, Kelly Reilly, Noomi Rapace, Rachel McAdams, Jared Harris, and Stephen Fry.This film opened in US theaters six months ago (December 16th) at #1 on its opening weekend. Box Office Weekend: Sherlock Holmes 2 tops its weekend debut with $40M! While it's the first movie, Sherlock Holmes' domestic BO total Gross ($209 million) was more than its sequel, its foreign and worldwide total gross (see #s below) for this second film made more than the first film ($315 million foreign and $524 million worldwide), which is quite impressive. 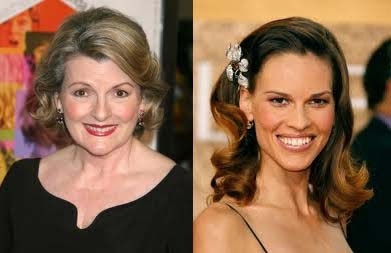 According to Variety, 2-time Academy Award Nominee Brenda Blethyn and two-time Academy Award Winner Hillary Swank are co-starring in a new HBO telepic Mary and Martha. 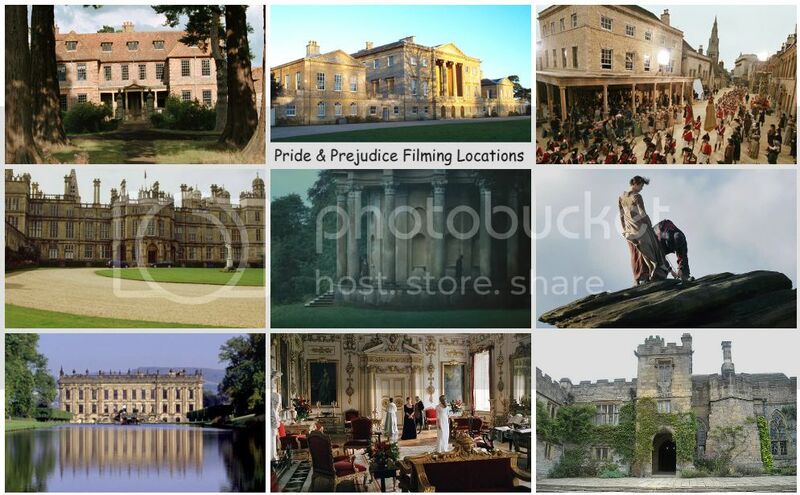 Oh, and get this, the trio of Working Title Films' Tim Bevan, Eric Fellner, and Liza Chasin, the executive producers of Joe Wright's Pride & Prejudice, Atonement, and the upcoming Anna Karenina films (as well Love Actually with its writer/director Richard Curtis) are producing this alongside the director of Salt! This should be awesome with those great talents behind the scenes and in front of the camera along with two of the best actresses in Hollywood. 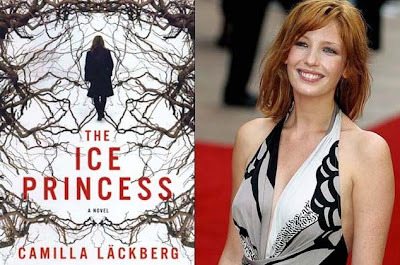 Screen Daily reports that Kelly Reilly is attached to star in a new crime thriller, The Ice Princess, which will be Danish filmmaker Birger Larsen's English-language adaptation of Swedish author Camilla Läckberg's best-selling debut crime novel of the same name. A very interesting crime novel (oh, I'd love to read this book next! ), which our Kelly Reilly will be playing the lead character Erica Falck. This is going to be pretty good with Kelly on it. She was great inEden Lake (with Michael Fassbender). EXCLUSIVE:Reilly attached to Birger Larsen’s English-language adaptation of Camilla Läckberg’s best-selling thriller The Ice Princess. Just 12 more days left untilSeeking a Friend for the End of the World starring Steve Carell and Keira Knightleyhits theaters nationwide on June 22nd! 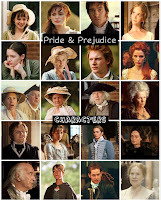 Two of the most watched TV series/miniseriesof 2012, Downton Abbey (Penelope Wiltonco-stars) and Hatfields & McCoys (Jena Maloneco-stars) both scored nominations for Television Critics Association (TCA) and Critics Choice TV Awards. The28thAnnualTCAAwardswillbePresentedon Saturday, July 28 at the Beverly Hilton Hotel. 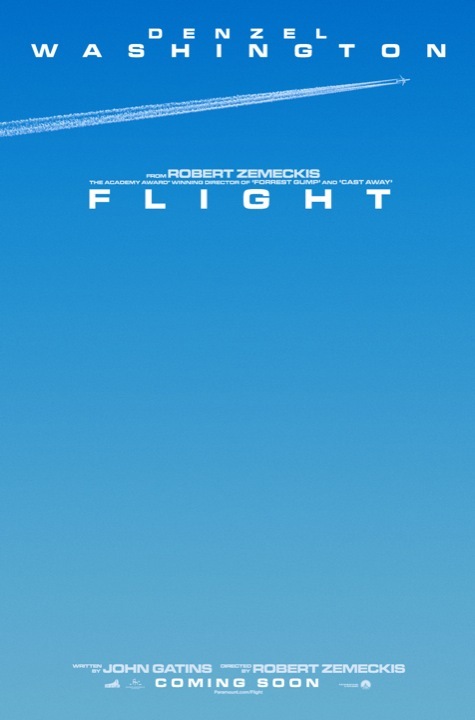 The first trailer for director Robert Zemeckis’ Flightstarring Denzel Washington and Kelly Reillyhas landed online today! 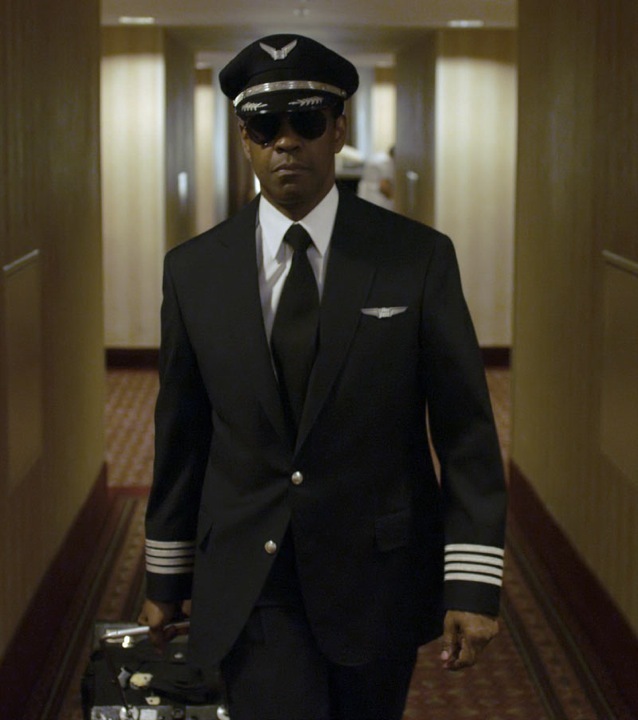 Also, the first image of Denzel Washington and movie poster (via Collider) for the film has been released as well. John Goodman, Don Cheadle, and Melissa Leo also co-star. In theaters November 2nd! See global release dates here! Anyway,Young Hollywood recently interviewed Miss Malone to talk about her part in the hit miniseries.